I think that I got it! Maybe the PIP(Picture in picture) will be like this. When sensing someone approaching that wasn't in your nearby radius before, you might get a picture of your character and have a line run through his/her head (as the series does) as they say the approaching power signature's identity. Goku, for example sensing Piccolo approaching would say "Huh? Piccolo!". The more extreme the energy level of the event, the further away it can be sensed. This would give almost a GLOBAL map-wide character shocked face with line effect when Goku goes SSJ3. I'm not confused, and I'm sure many others aren't either. But nice try anyway. something like Budokai Tenkaichi (Playstation 2)? When sensing outside of auto-sense, the bottom square of your PIP set will be used to locate the energy signature you are searching for (to find player signatures not nearby or effecting you). As your power level increases, the range at which you can sense energy increases somewhat. That said, the lower a players current power level, the less radius they can be sensed from. Razma wrote : Sorry to disappoint you but fragging and "strategic fighting" doesnt have to exclude eachother. In fact in most games you won't obtain a kill without any kind of strategic combat *looks at BF2*. The more I hear about the new ZEQ2 the more I doubt it will appeal to many people. Well we will see about that. Maybe we just have different definitions of fragging. Sorry I missed out replying to this one. If you call it comparing that's your opinion. But if you want some fast fragging, then BFP is perfect. We have different definitions of fraggings,for me it is simply a synonym(is that word even used in english?) for (player)killing. I sure don't hope that kills will occure every 10sec in zeq,simply wouldnt be accurate to the anime in any way and ruin the fun. And Forza for me it sounded like that.Thats not a opinion,simply a matter of how you formulated it. and just think about it...imagine playing ZEQ2 and having the sensing ability...the enemy knocks you in a rock and than starts charging an attack...you'll sense it and will have plenty of time to avoid(I think on the old forums it was said that if your stunned and your not on low health you'll be able to snap out of it pretty fast)soo practicaly you see..to kill an enemy won't be that easy like in the witty esf where you charge an attack and shoot it...and if you hit you kill..
Actually fast fragging should be possible. Just look at Vegeta vs Guiw(or however he was called, the purple guy), Vegeta just blasted Guiw with no real effort and their pl difference was pretty small, just a few thousand. no..ther difference in power level was a lot more if I remmber correctly...I just don't think kiwi was aware of that because vegeta was weaker than him when he last saw him. besides.....the majority of fights last much longer, and the whole idea is it gets really boring after a while when it's becomes so easy to kill people, the main reason why BFP only lasted about 2 hours for me. Devion wrote : Actually fast fragging should be possible. 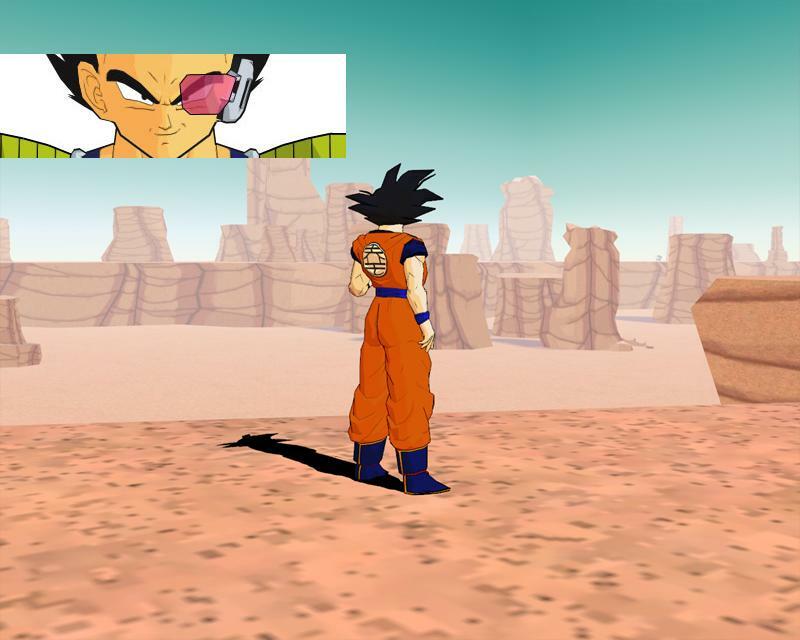 if you mean that first person Vegeta ran into just after he landed, well it looked smaller at first but vegeta then said 'I have learned to hide my power!' and then he boosted his powerlevel to about 24K (that big pink blob said that to freeza just after vegeta killed that purple dude) and is was never that clear how strong the purple dude really was, I guess around 18k? goku was about 33% stronger with 60000 powerdifference. and goku could have blasted ginyu to bits just as well, goku was just too much of a goody-two-shoes to do it. and remember, the team means long lasting fights between opponents of equal PL. I guess a player with a PL of 1000 will not stay alive for more then 3 seconds VS. a SSJ2 who isn't even trying that hard to kill him. Dale's right on this one. 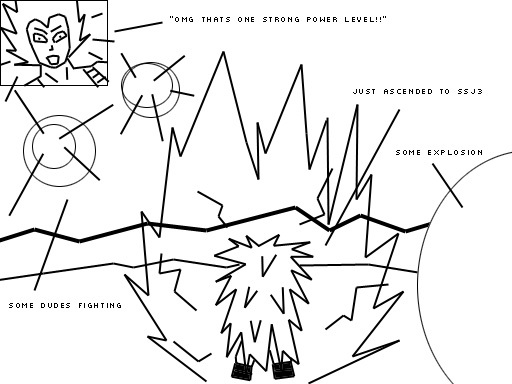 Kewi only thought Vegeta's power level was close to his own. In reality it was not; easily double as much. When comparing power level differences, think in ratio percentages rather than finite numbers. Although a difference of 3000 and 4000 might have been a a lot earlier on, the difference between 300,000 and even 310,000 (an extra 10K) later wasn't as drastic due to the percentage relations. I already figured out that it worked in ratio's, but that idea is also flawed. Let's say Piccolo, Goku VS Raditz, only with concentrated beams could they match Raditz powerlevel, but still Raditz had hard time trying to kill them both. And that ratio was 1:4 almost. Or it could be that Raditz sucked at fighting >_>. And may I remind you that Nappa was 8 times as strong :X. Unless you are telling me that Nappa also sucked at fighting. Another example! (you)SSJ Vegeta VS (Im)perfect Cell(2nd form). Vegeta just toyed with him. He could easily killed him in 1 blast. But their PL ratio wasnt as big as lets say, the Nappa VS Z-fighters fight. And I can take 10 other examples, where the ratio/percentage doesnt make sense. true, I admit that the series seem to have a weird way of showing PL difference and its effects, the nappa using a full powered blast (you could tell he was 'annoyed' when he shot that mouth blas) shows it best indeed. Maybe the team will bring forth on how Pl difference will work. there's some reference of the true pl of the warriors? They're basing the game on the series, not on the manga. Valgar wrote : there's some reference of the true pl of the warriors? I'm going with the PL levels the sites give. I once read how they got the actual PL information, just forgot how, but it was reliable.